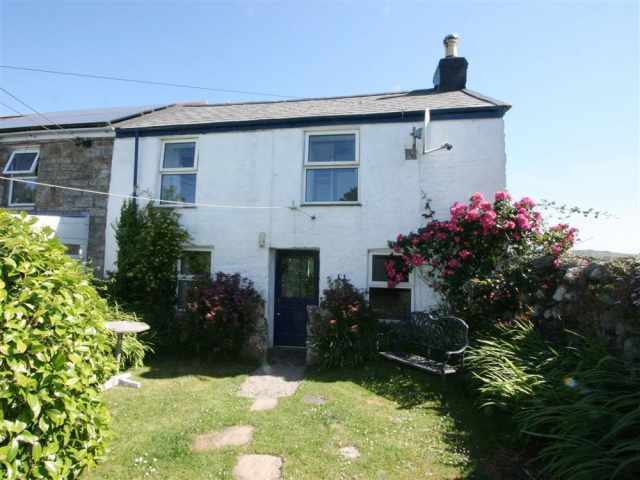 Just one mile from the golden sandy beach at Gorran Haven and three miles from the picturesque fishing harbour of Mevagissey, this detached, double fronted, 19th century cottage is set in the peaceful village of Gorran Churchtown. Recently modernised and benefiting from double glazing and central heating, it offers comfortable and spacious accommodation for a relaxing family holiday and is perfectly situated for touring the whole of Cornwall. The small unspoilt village of Gorran has a 15th century church, local shop/post office and a newly refurbished family friendly village pub, all within easy walking distance of the cottage. About one mile away is the sandy beach at Gorran Haven and access to miles of stunning cliff walks along parts of the South West Coastal Path to places such as Dodman Point and Chapel Point. The working fishing village of Mevagissey is 3 miles away with a popular harbour and plenty of restaurants and pubs, and for a wider selection of amenities the town of St Austell is 9 miles. For garden lovers, the cottage is just 3.5 miles from Caerhays Castle, 4 miles from the Lost Gardens of Heligan, home to Lobbs Farm Shop and a 30 minute drive to The Eden Project. Cycle hire is available at Pentewan 6 miles away and there are several golf courses within easy reach. The front door opens to a useful entrance porch with coat pegs and an inner door leads directly into a charming beamed living room which spans the width of the original cottage. There is lounge seating on one side with two settees facing the wood burning stove set on a slate hearth, and a dining suite on the opposite side with a wide hatchway to the kitchen. In one corner of the lounge, four steps lead up to a second sitting/play room with a sofa bed for alternative sleeping arrangements and French doors leading out to the patio; a perfect place to enjoy your morning coffee. A doorway at the rear of the cottage leads to a newly fitted smart kitchen with a quarry tiled floor and an inner hallway giving access to a fully tiled shower room W.C. with hand basin. A rather steep carpeted staircase leads up from the hall to the first floor landing where there are a large shower room W.C. with hand basin and three pleasantly light bedrooms with low doorways and a double, single and twin beds respectively. A door opens from the rear hallway with two steps down to an external laundry room offering storage space of beachgear and three steps continue up to an enclosed lawned garden with a sheltered patio area. There is an off road parking space for one car with additional parking available at the Barley Sheaf Inn nearby.